hello. can somebody help me ??? what’s wrong with my code?? 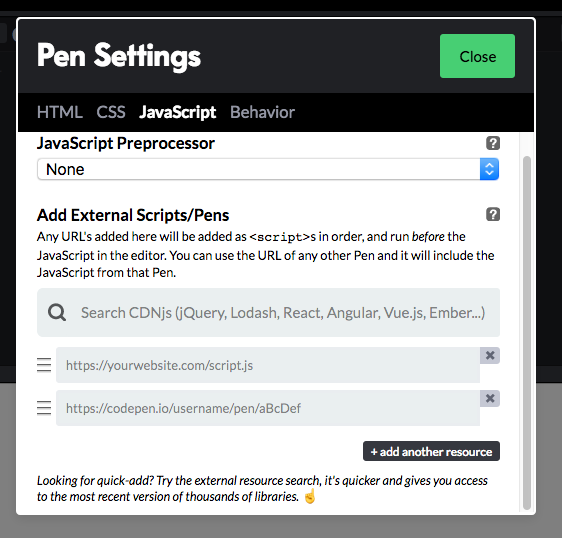 Do you have your project on CodePen? It’s not easy to debug code just by reading it. Also, I’ve edited your post for readability. When you enter a code block into the forum, precede it with a line of three backticks and follow it with a line of three backticks to make easier to read. See this post to find the backtick on your keyboard. The “preformatted text” tool in the editor (</>) will also add backticks around text. this is my Codepen address, please help me. You have some issues to address in order to get the project to work. Make sure you’re adding React, React-DOM, and other dependencies as required. Also make sure that you’re properly referencing those dependencies in your code.